The accident is the first fatal self-driving car incident involving a pedestrian. Ride-sharing giant Uber said Monday it is suspending its self-driving car program after one of the vehicles struck and killed a pedestrian in the US state of Arizona. 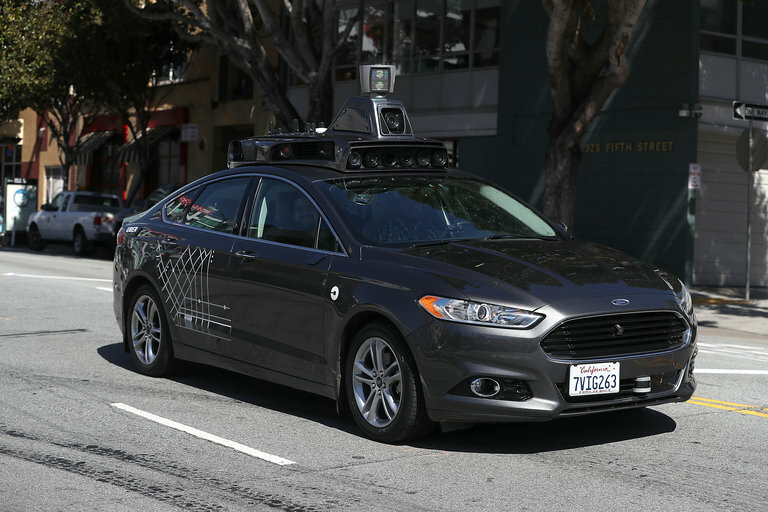 The Uber vehicle was in autonomous mode, with an operator behind the wheel, when it hit a woman walking in the street in the city of Tempe late Sunday, according to the San Francisco-based company. The victim was hospitalized and later died from her injuries. "Our hearts go out to the victim's family," an Uber spokesperson told AFP. "We are fully cooperating with local authorities in their investigation of this incident." Uber has suspended use of self-driving cars it was testing or using in Tempe, Pittsburgh, Toronto, and San Francisco, according to the company. Uber was only using autonomous vehicles as part of its regular passenger service in Pittsburgh and Tempe. A vehicle operator in the driver's seat was the only person in the Uber car when the fatal accident occurred, according to the company. The car was in police hands on Monday. Sunday's accident was the first fatal self-driving car crash involving a pedestrian. The first deadly self-driving car accident was reported in mid-2016, and involved a Tesla. The Tesla Model S, cruising on "Autopilot," failed to detect a crossing tractor-trailer against a bright sky, killing the driver — who it later emerged had kept his hands off the wheel for extended periods of time despite automated warnings not to do so. It was a nightmare scenario for an industry promoting a way to improve road safety and reduce traffic fatalities that come mostly from human error. As with the fatal Tesla crash, the deadly Uber accident is likely to stoke concerns that the industry is moving too fast to deploy self-driving vehicles. Google-owned Waymo for years has been testing self-driving cars, racing against smartphone-summoned ride star Uber. Waymo early this month began using its self-driving trucks to haul cargo bound for the internet giant's data centers in Georgia. Rival Uber made a similar announcement, saying it is using self-driving semi trucks as part of an on-demand trucking service in Arizona. In September, US Transportation Secretary Elaine Chao released new guidelines that permit more testing of self-driving cars and address regulation between the federal government and states. Autonomous-vehicle technology has been touted as having potential to save fuel, ease congestion, and make transportation safer. Chao argued that self-driving technology could also improve mobility for the elderly, disabled, and other restricted populations. But the non-profit Consumer Watchdog has warned that roads are being turned "into private laboratories for robot cars with no regard for our safety." US states set their own rules for roads, and a handful have passed laws allowing self-driving vehicles. California and Arizona have been particularly encouraging, hoping that companies developing autonomous technology in those states will create local jobs and facilities devoted to a promising new industry.